The value of industrial property represented by intellectual property, intangible assets and goodwill has jumped from 17% in 1975 to 84% of the S&P 500’s value report. But when it comes to business transactions such as mergers and acquisitions, the data that constitutes a trade secret is often given scant attention beyond boilerplate legalese in confidentiality and acquisition agreements. Broadly speaking, a trade secret is any confidential business information which provides an enterprise a competitive edge; these include manufacturing processes, business methods, client lists, industrial and commercial secrets. Key to the nature of the trade secret is that it is not generally known and is the subject of efforts to maintain its secrecy. The ontological fact that trade secret information is, by its nature, “secret” contributes to that sometimes scant attention in commercial transactions. Unlike the registered rights of patent, copyright and trademark, whose official-looking certificates can be viewed on a screen, loaded in a data room, and scheduled as an agreement exhibit, there are no government documents evidencing secrets. But given the extent to which industrial assets are intangible, and given the lengths to which sophisticated businesses go to develop and protect innovations, due diligence review for most transactions should extend beyond the one sentence covenant. For example, in a merger or acquisition, understanding the nature of the target’s trade secrets and the extent to which the target took efforts to protect the trade secrets are essential for the acquirer. At the same time, the acquirer must preserve the integrity of its own trade secret information which risks being compromised if, as often is the case, it already has an internal development program in place for similar products. The ideal non-disclosure agreement (NDA) for the suitor must be as carefully considered and negotiated as it is for the target trying to protect its own trade secrets. For administrative ease, the confidentiality obligations should be for a defined set term; verbal disclosures subject to strict documentation requirements. And, when possible, a “residuals clause” should be included that permits use of information “retained in the unaided memory” of the individual parties. For the target, even with the most robust non-disclosure agreement, there is the existential risk of exposing core secrets to a suitor who may back away from the acquisition and go into direct competition. Before entering into a negotiation, indeed even before executing an NDA, the target is well advised to review, and if necessary implement, trade secret protection programs and compliance with outstanding NDAs. For the NDA itself, clauses often jumbled in a last “miscellaneous” section such as governing law, jurisdiction and venue, liquidated damages, availability of equitable relief and absence of the need to post a bond become critical. Once confidentiality obligations are settled, due diligence can begin. For the buyer, the inquiries need to identify the target’s most valuable trade secret assets, assess how they have been protected and determine how vulnerable they are. The target’s cybersecurity systems and procedures for managing information risk need to be thoroughly examined recognizing that most losses of trade secret information are likely to occur through employees or contractors rather than through data system exposures. For the target, on-going diligence in protecting data room disclosure, and routinely and regularly tracking disclosures of trade secret information, is not only advised but is required in order to maintain the “secret” of the trade secret. 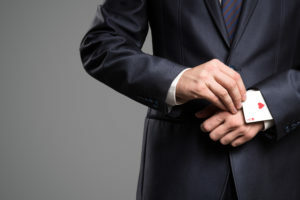 Owners of trade secret information need to be vigilant in all transactions involving trade secrets, not only in mergers and acquisitions but also in development, licensing, supply, and distribution agreements. Importantly, business owners need to recognize that in the area of trade secrets, even the best legal agreement, is vulnerable to the risk of human error that accompanies the enthusiasm for the particular deal. Regular trade secret technical and legal audits can benefit all parties to future transactions.